Jaipur, the Pink City, and stay at Four Points by Sheraton Jaipur, City Square. 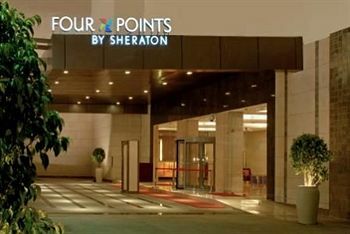 Our hotel is located in the heart of Jaipur, convenient to major government and business organizations, universities and the new International Airport. The City Palace, Amber Fort, Hawa Mahal and other popular sightseeing attractions, are all within easy access of our hotel. If you have not decided yet or wants to customize tour itinerary or hotels listed above in "Celebrate New Year Eve At Four Points, Jaipur Rs.3500/-", then we can change the travel itinerary and make a personalized, tailor-made holiday package, especially for you. We can modify this travel package as per your itinerary, budget, duration and the tourist places you would like to visit, including transportation and airfare should be included or not. Please fill the form below to contact us.